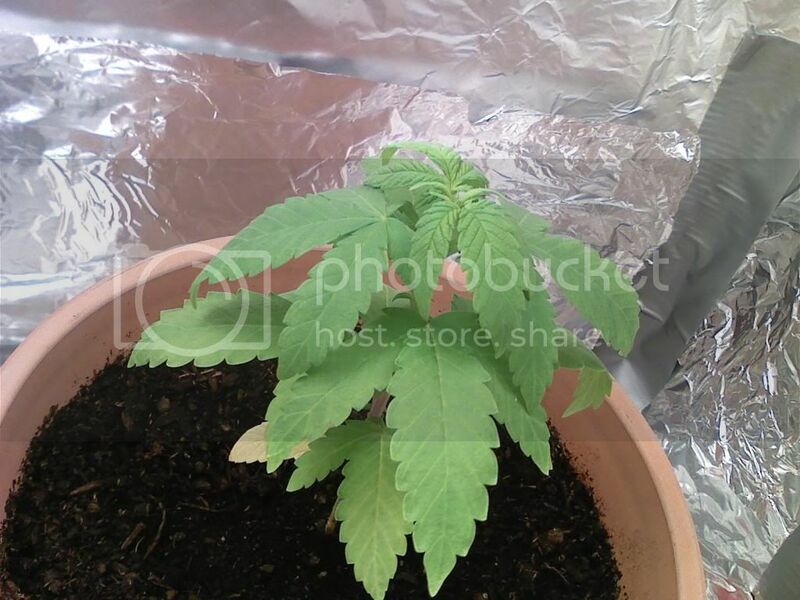 Discussion in 'Growing Marijuana Indoors' started by kUshl0rd, Apr 22, 2010.
its looking a little droopy and the first sprout leaf is yellow (bottom right of pic) what should i be doing to fix this in the long run. i dont have a light timer and sometimes forgot to turn it off or on, do you guys think that is causing it or what. thanks. looks a little over watered. remember dont water until the soil is dry and then drench it. You should just leave the light on all the time if you're not going to get a timer, you'll get a hermie with inconsistent lighting i have heard. ok yeah i think i was over watering cause i would water when really wet and put alot in so ill let it dry out. whats a hermie? Also i dont think your plant is over watered maybe a lil nutrient burned are you using a soil with nutrients already in it?